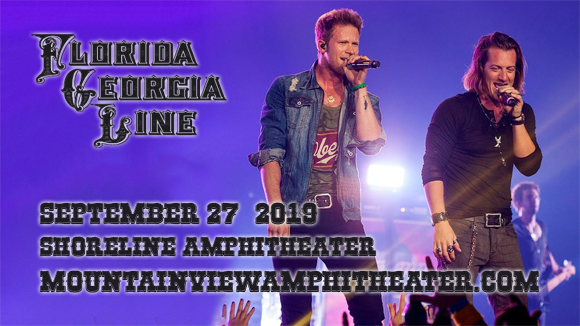 Florida Georgia Line are back, and they're hitting the road this summer, coming to Shoreline Amphitheatre on Friday 27th September 2019! The boys are celebrating the release of their new album, Can't Say I Ain't Country, which acts as an homage to those who've gone before as they re-embrace their classic country roots! Not only will fans enjoy a scorching headline set from the larger-than-life duo, but they'll be treated to support acts Dan and Shay & Morgan Wallen! Florida Georgia Line found instant success in 2012 with their smash hit, record-breaking single "Cruise", which was downloaded over seven million times, dominated the top of the Billboard Hot Country Songs chart for 24 weeks and led to the coining of a new genre – bro-country. The duo (Tyler Hubbard and Brian Kelley – both guitarists and vocalists), continued their success with the release of their double-platinum debut album, Here's to the Good Times (2012), which became the sixth best-selling album of 2013 in the United States. To date, they have released four studio albums, including their most recent, Can't Say I Ain't Country (2019).